Here are some tips on riding the Greek Island ferries. I typically don't plan my trips in advance – I just fly into Athens, check the ferry schedules, and then decide where to go. 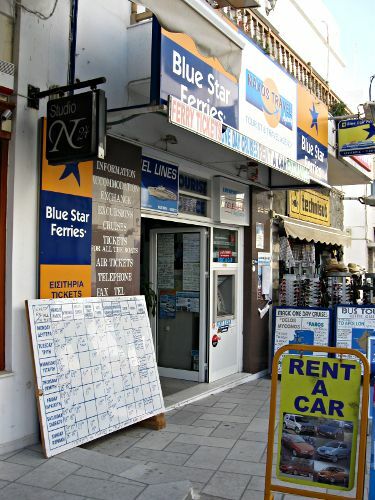 NOTE: in high season or during Greek holidays, plan ahead because ferries can get booked. 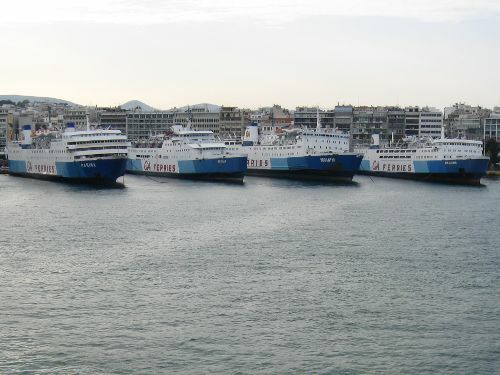 If you're planning on going to the Cyclades, especially the popular islands like Paros, Naxos, Ios, and Santorini, there are ferries from Piraeus (Athens) every day during the tourist season. 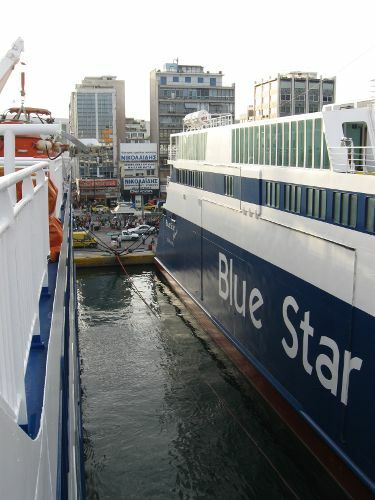 There are no ferries in Athens itself – you have to take a train to Piraeus which costs one euro and takes about 30 minutes depending on where you start in Athens. Since flights to Greece from the US typically land in Athens in the morning, I sometimes go to Piraeus directly from the airport, though sometimes spend one night in Athens. If you stay in Athens, you can check ferry schedules at the front desk of your hostel or hotel, or at any of the many travel agents around the city. 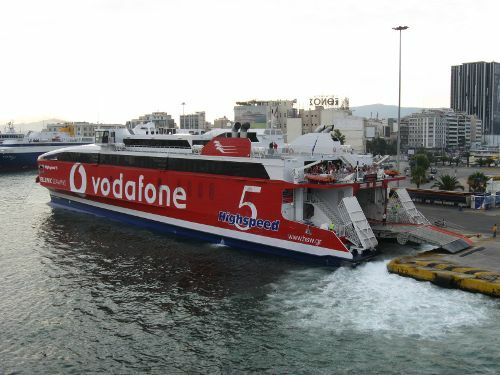 There are two main types of ferries: regular, and high speed. If you're on a budget try to catch the regular slower ferries because they are cheaper. 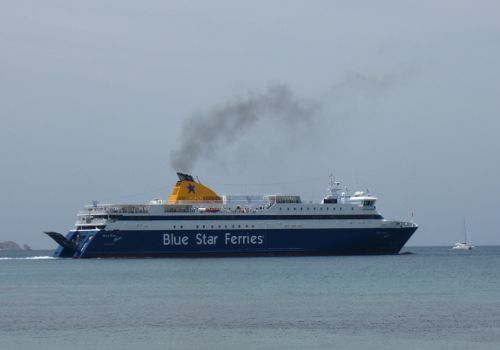 You can also check ferry schedules online here and here. 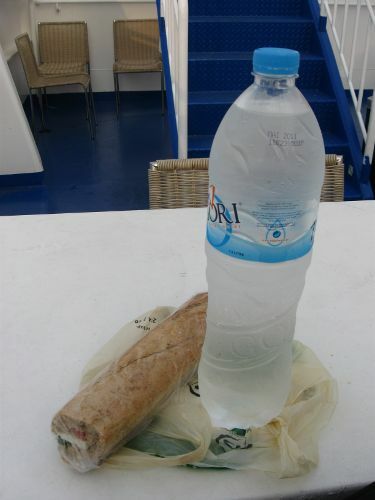 If you want to save a little money, bring a sandwich and a bottle of water with you before you get on the ferry because food and water is more expensive on the boats. If you bought the cheapest ticket available, it's for a place on the deck, not inside the boat. The ferry staff will direct you to the top of the boat. Try to board early so that you can get a seat in a good spot. Submitted by Meliha (not verified) on Wed, 06/16/2010 - 18:06. We traveled to Mykonos from Athens (Piraeus) 2 or 3 years ago. Since we were on a tight schedule and didn't want to get stuck without a ticket, we booked in advance through Hellenic Seaways. 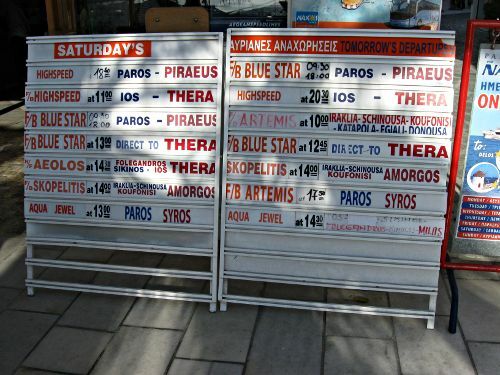 One thing to note is that the pick up point (for the pre-ordered tickets) in Piraeus was closed when we went there in the evening and did not open again until around 6 or 7am the next day. As I recall, our ship was leaving port within about half an hour of the time the ticket pick up window opened, so we ended up cutting it pretty close (which I do NOT recommend doing). Anyway...just something to keep in mind when pre-ordering tickets on the phone or over the internet (suggest finding out in advance what time the ticket pick up window is open).